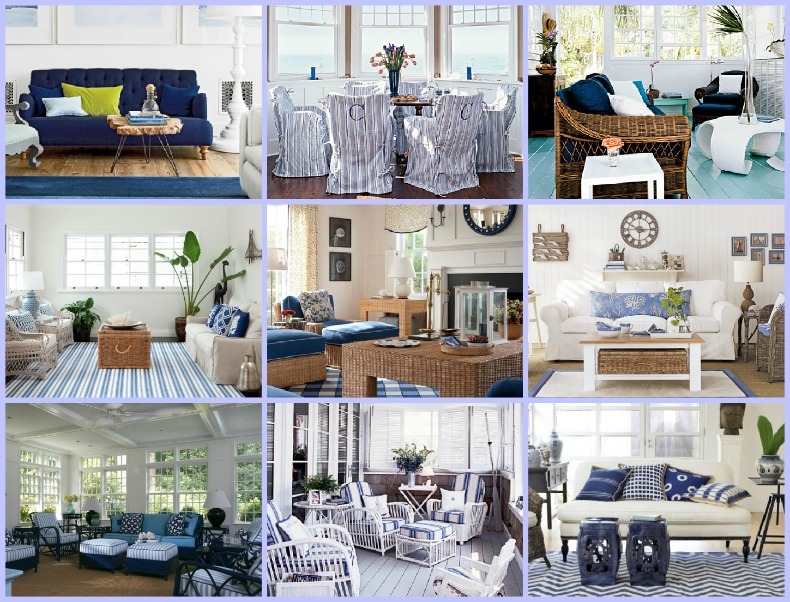 White slipcover sofas, blue and white stripe area rugs, mixed with rattan and wicker textures make some of the most beauitful blue and white coastal designs. Inspiring coastal blue and white beach house designs. Blue and white coastal decor to inspire you.